Super easy Crockpot Chicken Chili!! 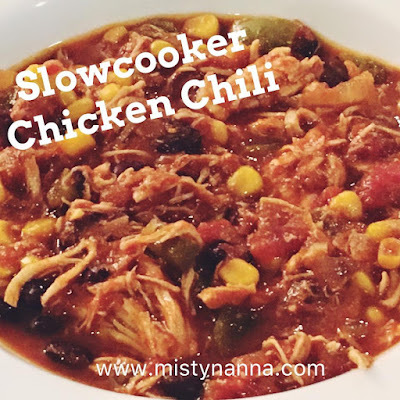 This dinner is super yummy and very easy to throw in the crockpot and go! It's the perfect hearty meal that the entire family will love!! 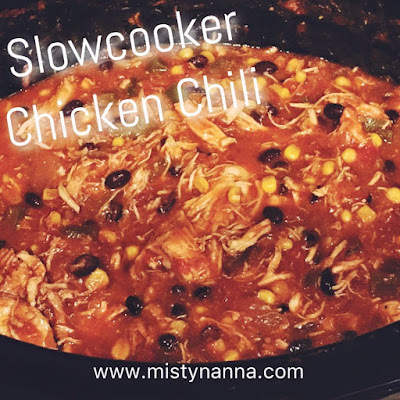 Combine everything in the crockpot in the morning and cook on low all day! About 30 minutes before serving shred the chicken and put back in to let cook a little longer. Top with some Mexican cheese and/or plain Greek yogurt! Someone who put everyone else first, but myself. I felt unhappy, ugly, depressed. I had "nothing" to wear that looked good on me. I didn't feel pretty anymore. Who came to the realization that it was time to make a change. I committed to making a promise to myself. I set aside 30 minutes a day for ME. That changed my habits of eating "fat free"
and learned how to cook clean meals. Nutrition became important to me and my family. That started SEEING and FEELING the changes each day. 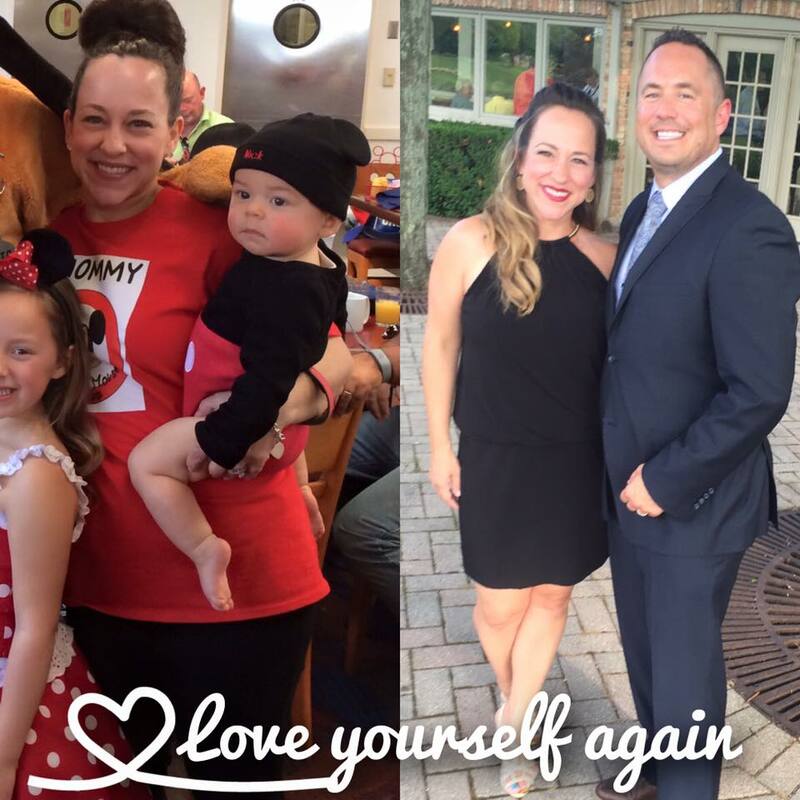 I felt stronger and had more energy for my kids. My relationship with my husband started to spark back up again. A woman who now has more confidence than she's ever had. Who puts herself first, so she can be an amazing mom and wife. One that finally feels like herself again...sexier....like a woman should feel. 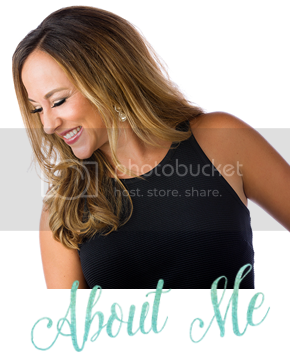 Here on this earth to help empower other women. To motivate, coach and guide you in the right direction. To make you realize, that YOU are WORTH IT. Do you feel the way I once did? Let me help YOU. I am opening up a NEW online fitness/nutrition accountability group for WOMEN starting Sept 19th. I am looking for 10 new ladies to join me. Want more info? Please fill out the form below or message me and I will contact you in the next 24 hours. Tired of making sandwiches every day? 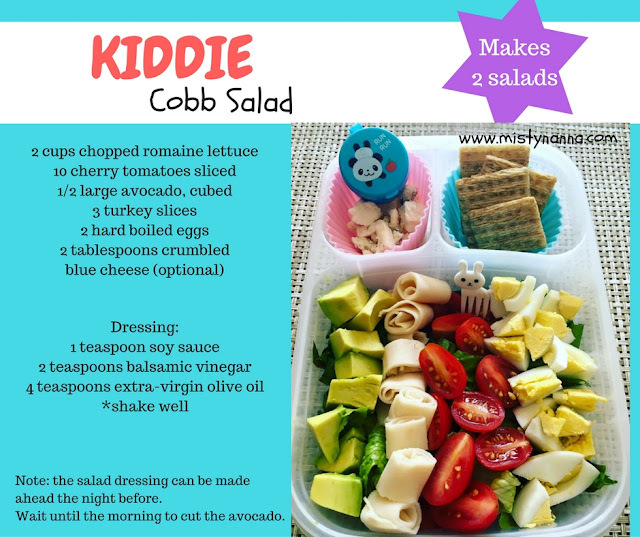 Try making a KIDDIE Cobb Salad!! I used my containers that I ordered from Amazon. My kids love seeing the little animal toothpicks, storage container for the salad dressing and colorful cupcake holders for the blue cheese and whole wheat crackers. Making lunch FUN!! Seriously.....this was THE most amazing clean eat snack!!! I could eat this all day!! Tastes just like a taffy apple!!! Great as an after school snack or even as a dessert for a party!! *Note.....I got my Maple French Toast Granola from Aldi. 1. 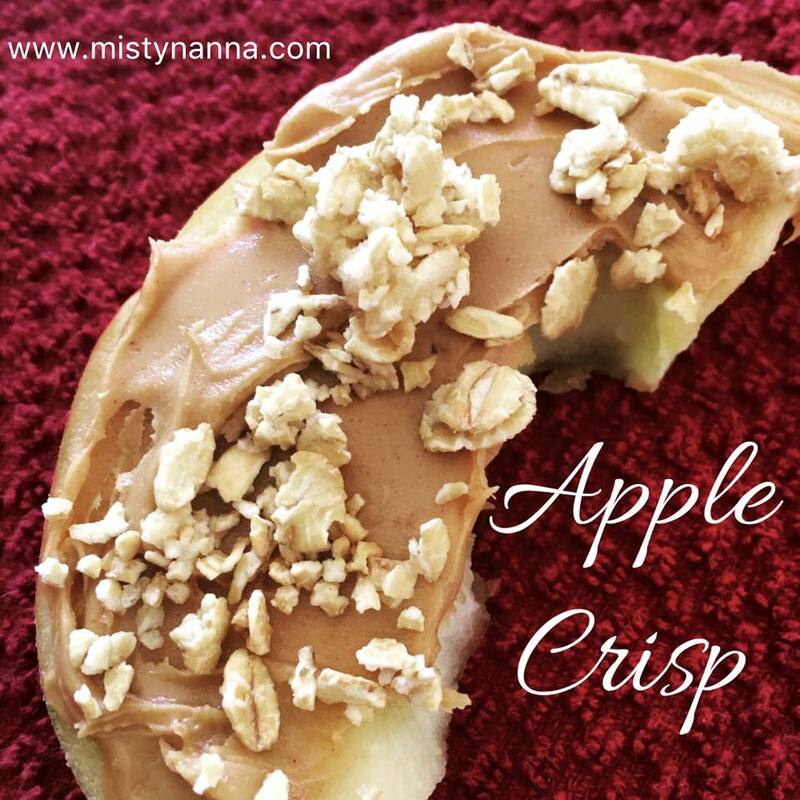 Use an apple core or melon ball to remove the apple's core. 2. Cut 1/2 inch off of the top and bottom of the apple. Cut 2 slices. 3. To keep the apple from turning brown, rub the cut side of the lemon over both sides of the apple. 4. 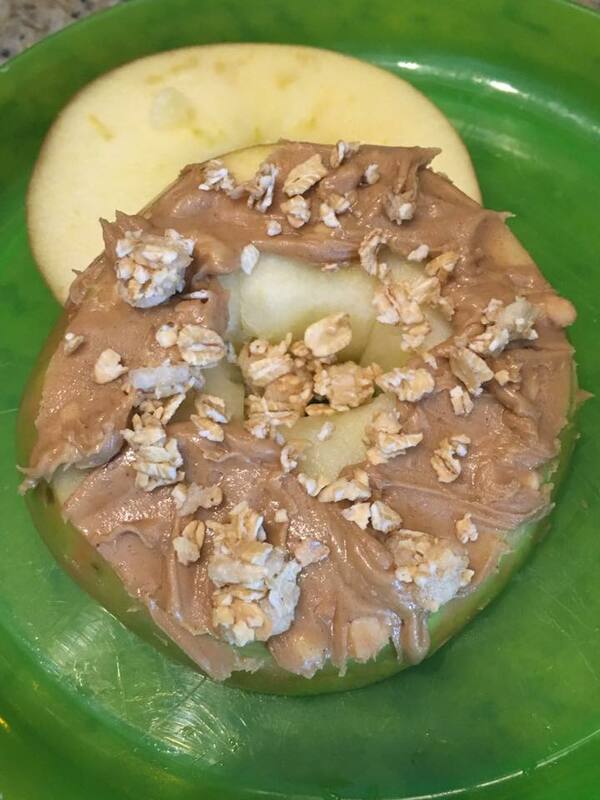 Spread peanut butter on two of the apple slices. 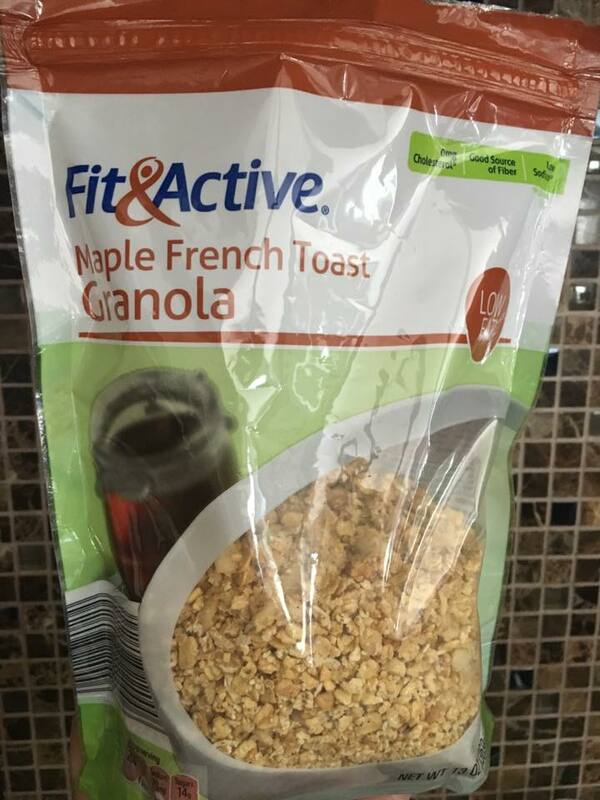 Sprinkle the granola over the peanut butter. 5. 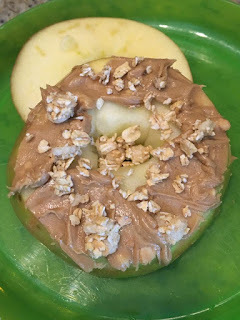 Top with remaining apple slice or eat individually.